Compatible up to: Latest WordPress Version. Checked! LMS WordPress Theme – eLearning WP is one of the best LMS WordPress Themes outstandingly powerful, smart learning management system (LMS) based on WordPress platform in which courses, lessons, quizzes and questions are easily made and managed. These courses for sale can be free or premium. 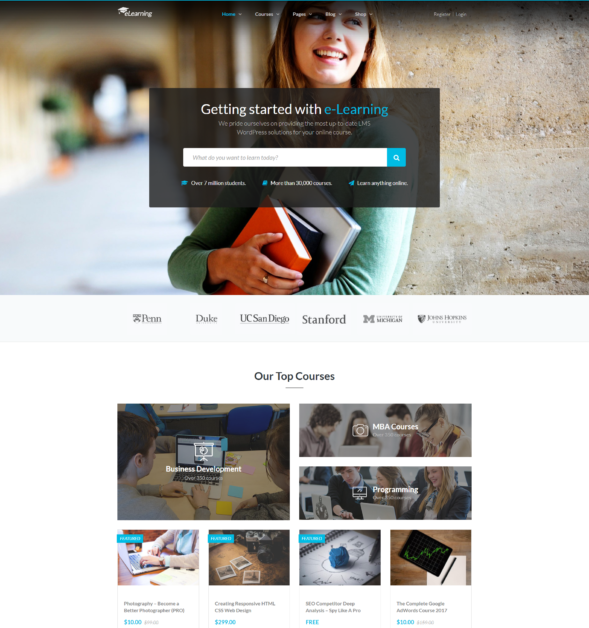 As one of the Best WordPress LMS Themes, eLearning WP is using LearnPress – a WordPress LMS plugin created by ThimPress ourselves. This WordPress LMS plugin is comprehensive, built seriously and continuously developed and supported in spite of free of charge. 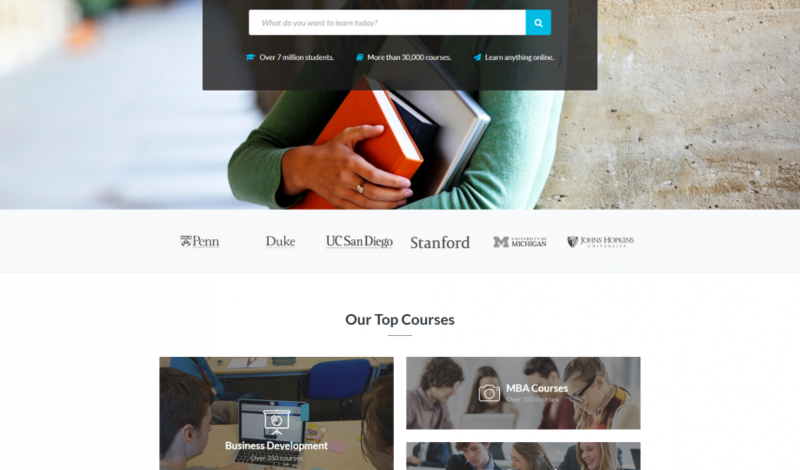 The WordPress LMS plugin – LearnPress is supported with a bunch of free or premium add-ons. That means LMS WordPress Theme – eLearning WP has all features packed from the WordPress LMS plugin – LearnPress. The most important thing is if later on you have demand of switching to another LMS Theme than our LMS WordPress Theme – eLearning WP , all your courses and information could be retained thank to the WordPress LMS plugin – LearnPress. Besides that, all powerful add-ons with the cost of around 150$ of LearnPress WordPress LMS Plugin are integrated in the LMS WordPress Theme – eLearning WP without any extra charge to this theme. This one of the Best LMS WordPress Themes is excellently compatible with bbPress Integration – communication forum for courses and BuddyPress Integration – the profile system which help you enjoy your learning on this LMS WordPress sites. More than that, amazing blog & timeline is also an ideal place to express your thought. WordPress LMS Theme – eLearning WP supports all popular payment methods: Paypal, WooCommerce, Stripe, etc. You shall have variant selection from 8 demos of WordPress LMS Theme – eLearning WP: one course demo, one instructor demo and 5 other demos using for course market. With fully responsive design and Retina ready, your learning management system surely would look awesome in any equipment. With the appearance of WooCommerce and WooCommerce Sales Countdown, Learning Management System WordPress Theme – eLearning WP can be a normal shopping cart instead of a learning management system. ** For more info on how our bundled plugins work, check out this article. LearnPress WordPress LMS Plugin by ThimPress on WordPress.org. Brilliant LMS Courses Management with Units/Sections, Lessons, Quizzes – link to Youtube video how to create a course. LMS Course Collection – combine particular courses into collections. Free Course, public accessible course support. Quizzes Management with multiple Question Types. Paypal, Stripe, Offline Payment Methods Integrated. Paypal payment method to allow to receive payment over Credit Cards or Paypal balance, Stripe payment method to allow to receive payment over Credit Cards, and Offline payment method is convenience to receive payment in offline ways. More is coming. WooCommerce support as a shop solution and/or selling courses over WooCommerce. WooCommerce Sales Countdown plugin included (save $16) to sale your course/product on a timer. Co-instructors – multiple instructors support for each course. bbPress support – for private course discussion between instructors. BuddyPress support – for communicating between instructors & students in each course. Student Certificate on course completion. Amazing Drag & Drop Page Builder. Super lightweight & powerful Mega Menu built-in. Contact Form 7 ready: The layout of this form is customized to match the design of LMS WordPress theme – eLearning WP. Mailchimp for WordPress: a sign-up method to your LMS WordPress theme site. Highly Performance Optimized, your site will be loaded before your customers go away. Highly SEO Optimized with Microdata, perfect on-page SEO optimized for courses, blog posts, blog archives, WooCommerce products, WooCommerce archives, bbPress forum topics, BuddyPress activities. Google loves it. Post formats – Standard, Audio, Gallery, Image, Link, Quote and Video. Built on latest Bootstrap 3 & FontAwesome 2: making front-end of LMS WordPress theme – eLearning WP faster and easier. Size, color, drop shadow, and anything can be done with the power of CSS. Styles has written by LESS CSS and compiled one time in WordPress Customizer to make LMS WordPress theme – eLearning WP loads faster. Drag and drop layout manager: allows you to create custom layouts for your content. Configure every element: Logo, header, slide show, page content, sidebars, footer and more without touching to code problem. Assign custom layouts to any page or post. Sidebar generator: generate as many sidebar as you need for WordPress LMS Theme – eLearning WP. Unlimited footers: Plenty of footers is waiting in LMS WordPress theme – eLearning WP for your selection. Unlimited layouts for your front page, post, page, Login page, and even Custom Post Type of the LMS WordPress theme – eLearning WP. Unlimited color choices: you can select any color and decorate your LMS WordPress theme – eLearning WP site to the last conner. RTL support to make this eLearning WordPress Theme works perfectly with Arabic, Hebrew, … languages. Translation ready (.po/.mo files): support WordPress LMS Theme – eLearning WP to be translated in different languages. One click DEMO data importer: simply click a button and then you get LMS WordPress theme – eLearning WP Theme installed. Check out this page to see how cool it is! 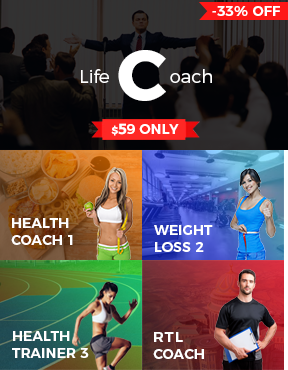 The best theme for individual Teachers, Instructors, Life Coach, Speakers, Trainers, Consultants, . . .